Cucumber is such a soothing and refreshing fragrance. It’s the perfect scent to relax and rejuvenate. Earlier this week, I mixed it with lavender to create Cucumber & Lavender Bath Bombs. Now that our skin has been treated to a hot bath, the next step in the home spa experience is to scrub away dead skin. This Cucumber Sea Salt Scrub does the trick. The base of this scrub is Foaming Bath Butter. It’s a premade base that when whipped with a hand or stand mixer, transforms into a light and fluffy consistency. It is made of gentle surfactants that mildly cleanse the skin. To the base, a combination of Fine Grained Dead Sea Salt and Forest Green Jojoba Beads are added. The jojoba beads add a light green color and gentle exfoliation. Learn more about jojoba beads here, and how they differ from microbeads. Fine grained Dead Sea salt is great for the body, but can be a little scratchy on gentle facial skin. The amount of salt in this recipe provides gentle exfoliation. If you prefer something “scrubbier,” feel free to add more salt to suit your preference. We also created free printable labels for this scrub! Simply add download the label and print the labels on waterproof label paper. Orange is one of my go-to fragrances. It’s so bright, fresh and universally loved. For this simple salt scrub, I drew inspiration from my favorite citrus. 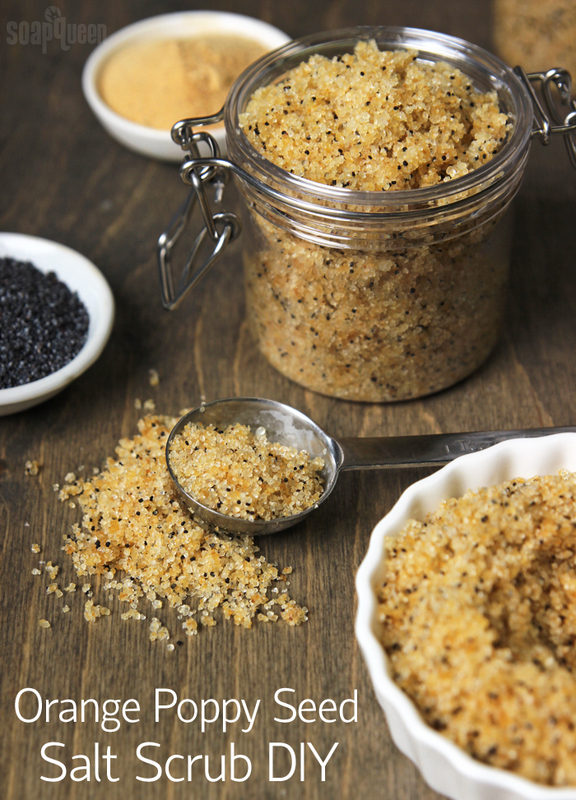 The base is fine grained Dead Sea salt with poppy seeds for extra scrub, and orange peel powder for color. The orange peel powder does add a bit of scent, but this scrub really gets a strong citrus smell from 10X Orange Essential Oil. The term “10X” means it has been folded (or concentrated) ten times to create an intense, pure essential oil. It also adds a bit of natural color to the scrub as well. Salts are a versatile ingredient for bath and body products. They can be used to remove dead skin in soap and scrubs, or in the bath tub for a soothing soak. 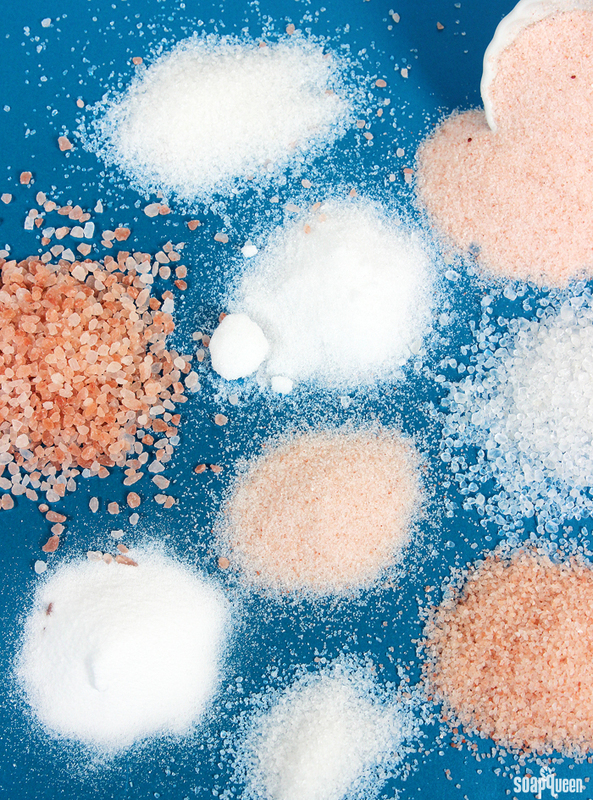 There are a wide variety of salts, including dendritic salt, dead sea salt, pink sea salt and epsom salt. Each salt has slightly different properties. Wondering which salt is right for your project? Read on to learn more about salts and how to use them. 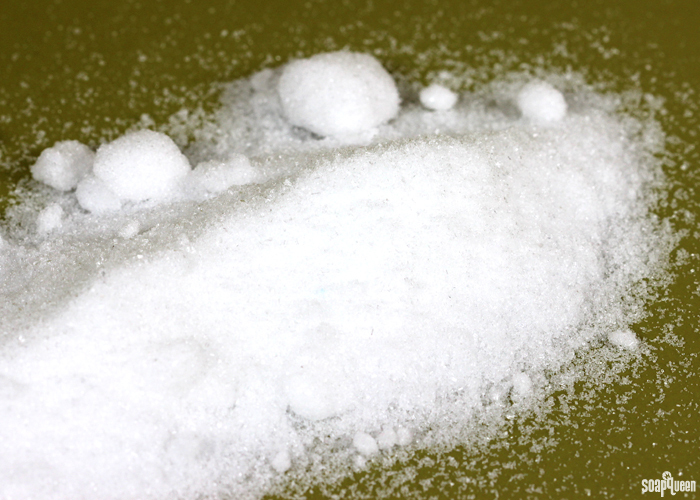 One of the most common types of salt is Epsom salt. Interestingly, Epsom salt is not actually a salt as all! Epsom salt is made of hydrated magnesium sulfate. Magnesium and sulfate are known for their hydrating properties, making Epsom salt a popular choice for bath salts. Epsom salt soaks are commonly used to sooth sore muscles and soothe irritated skin. Epsom salt crystals come in various sizes. Bramble Berry’s Epsom salt is extra fine textured, making it a good options for body scrubs and soaks. If you’re looking for a way to use Epsom salt in the tub, the Winter Salt Soak combines Epsom with baking soda and citric acid to create a fizzy effect. It also features a blend of essential oils that is great for sore muscles. 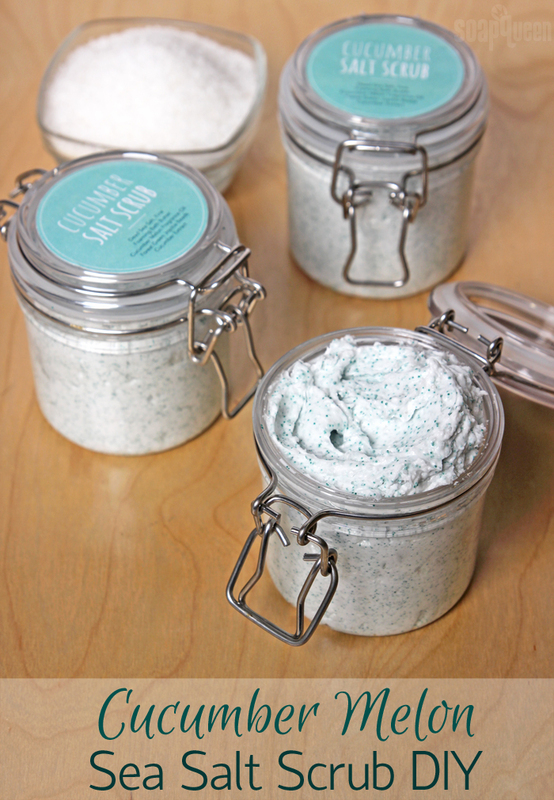 If you’re looking for a refreshing soak option, the Minty Layered Bath Salts leave skin feeling peppermint-y and fresh. Epsom salt is also used in the Margarita Epsom Salt Scrub to create a hydrating and tropical body scrub. 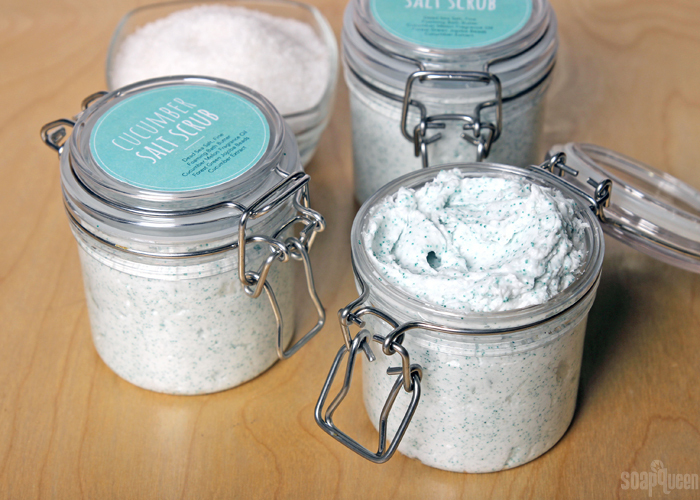 If you prefer a dry scrub, the Sea Clay Dry Salt Scrub combines Epsom salt, sea clay and baking soda for an oil absorbing effect. With spring quickly approaching, it’s time to get skin in tip-top shape. 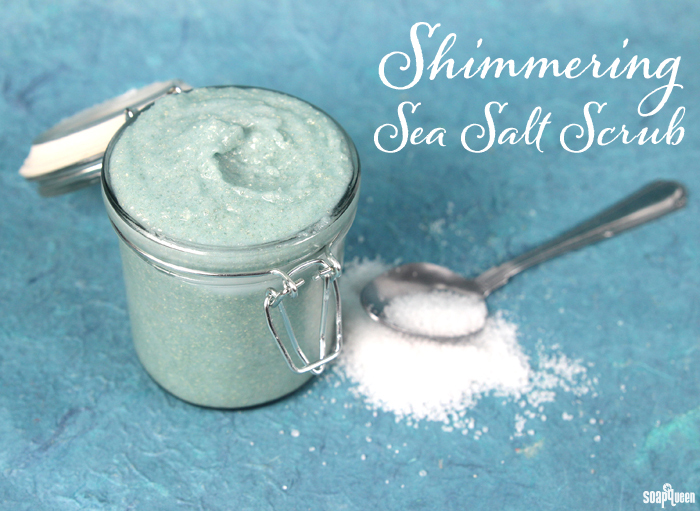 This Shimmering Sea Salt Scrub is created with exfoliating dead sea salt and moisturizing shea butter and coconut oil. The sea salt removes dead skin, while the oils leave skin feeling hydrated and smooth. The end result is moisturized, extra soft skin! Because this scrub is made with hard oils that become liquid when heated, the texture of the scrub will depend on the temperature of your room. When using this scrub in the shower be cautious as the oils will create a slippery surface. Inspired by mermaids, Gold (light) Mica is added to give skin a subtle shimmer. 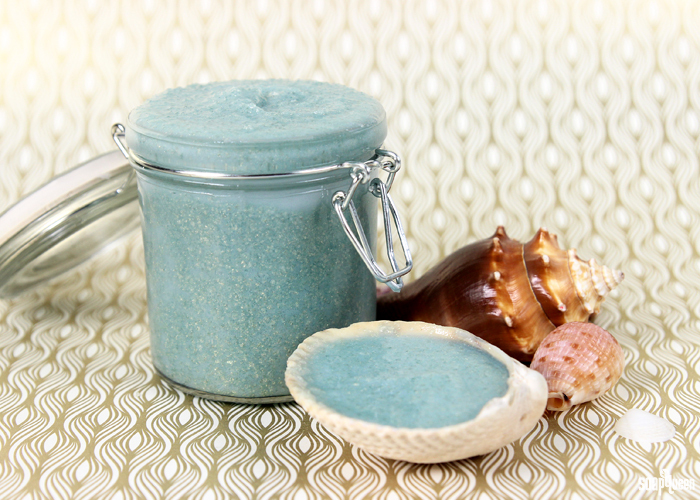 A combination of LabColors give this scrub a light aqua color, reminiscent of the ocean. Crisp Cotton Fragrance Oil gives this scrub a fresh, slightly sweet scent that’s great for spring.